Recently fondled over the A Class launch, we were also speculating the B Class diesel to make a debut there itself. But to our contradiction there did not come any of the other badges than this and finally we were made to walk out of the venue with only a press kit of niche hatchback. But today, news came in plunging to our expectations that, Mercedes Benz had said to roll out B Class diesel in the span of next few weeks, which we can accumulate the period by end of this June. Initially B Class was done only with the petrol motor since launch but looking at the rising demand of diesel makers learnt the importance of oil burners in Indian kitty. But disappointingly they had delayed a lot for bringing in the diesel on B moniker, because a gap of 1 year is actually a big stretch between the debut of two various trims in same model plate. 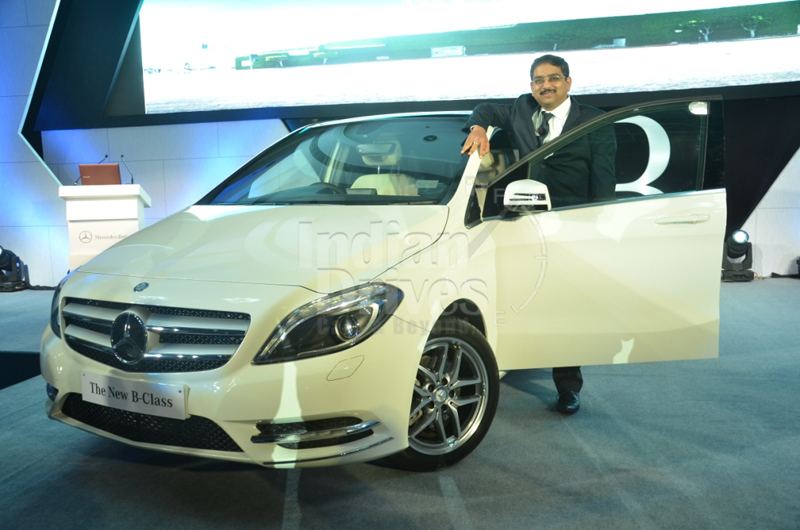 Just last year, B Class was the cheapest Merc in India but now A Class is said to get placed in that particular boot. However, A Class had brought in both the options of fuel so a good amount of result is witnessed in the pre-launch activity era itself. In spite these many days B station wagon had lost a cool number of buyers to competitors in the respective Rs. 20-30 lakh pricing range. However, we seem the new B Class diesel will prove in the best for further roads but the pricing should be casted in competitive criterion only.